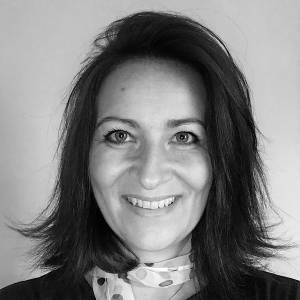 Daniela is an extremely warm and dedicated Counselling Psychologist with over 10yrs experience working in the mental health field across both primary NHS services and private inpatient settings. She works with people across the lifespan specialising in working with young people and adults suffering from complex psychological difficulties including early developmental trauma. She has worked with a wide range of mental health problems including chronic anxiety, depression, OCD, self-harming behaviours and emotional dysregulation difficulties. She has highly developed skills in therapeutic assessment and interventions using attachment and trauma-informed approaches. In her current role as Lead Psychologist in a private inpatient setting, Daniela manages the inpatient therapy programme as well as leading team supervision and training. Daniela especially enjoys offering consultation to families and the wider professional network involved in the care of young people and adults. When working with children, adolescents and their families, Daniela aims to create a shared understanding of their concerns as well as their goals. She has experience in a variety of therapeutic approaches but seeks to integrate current therapeutic knowledge with evolving neuroscience research on attachment, trauma and the developing brain into all her work. Daniela has a developing clinical/research interest in the unfolding neurobiological impacts of developmental trauma and neglect. Alongside her therapeutic work, Daniela has also been instructed as independent Expert Witness to the Family Courts in private law proceedings and care proceedings. She has undertaken specialist training in the use of psychometric and cognitive assessments, including mental capacity and parenting assessments. Daniela is registered with the Health Care Professions Council (HCPC) and fully Chartered with the British Psychological Society (BPS).